I’ve been using an Olympus E-510 DSLR for almost 3 years and it’s been a great camera. However, it has seen a lot of use (and abuse) and has sustained some damage. The door covering the memory card slot does not lock properly (now I use Velcro to keep it closed) and the USB/video-out port has been damaged so I can't tether the camera or use the cable release. The camera is still usable as a backup, but I decided to purchase another camera rather than getting this one repaired. It would probably be cheaper to buy another E-510 rather than get this one repaired. I considered buying another E-510, but decided to use the opportunity to upgrade instead. So my main objective was to replace the E-510, but also to use the opportunity to upgrade with a budget of under $700. Of course, when buying a camera, I always keep in mind the offerings from the different manufacturers, and do some research to compare the features and prices. The DSLR market is dominated by Canon and Nikon, who have about 75% of the market, but there are great cameras and lenses offered by Sigma, Pentax, Sony as well as Olympus. I have a substantial investment in the highly rated Olympus Zuiko Digital four-thirds system lenses and I'm very happy with the image quality that I was getting with the E-510 so decided not to change to brands. My first DSLR camera was the Olympus E-500, which was my primary camera for about a year before I upgraded to the E-510. Even though I liked the E-500, I loved the E-510 even more, mainly because of the in-camera image stabilization and faster autofocusing system. It also has a live view LCD and higher resolution. My first shot with the Olympus E-30 - Beautiful Vancouver! The controls for the E-30 are quite different than the E-510, including a second control dial, and it will take me a little time to get used to it. But the E-30 menu structure is very similar to the the E-510 so it was easy for me to set up the camera with my preferences. After using the E-510 for three years, I found the E-30 intuitive and easy to use. I'm looking forward to more of years great photos with the E-30! Review of the Olympus E-510 DSLR camera on Digital Photography Review. 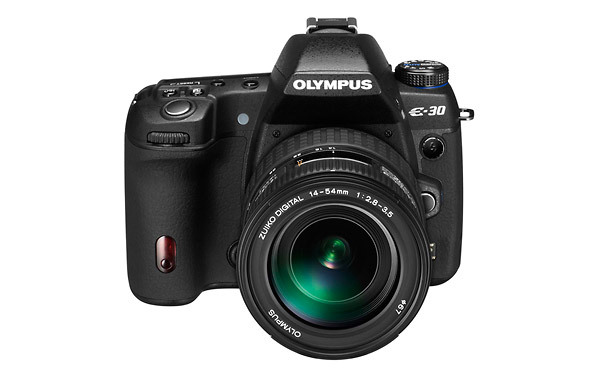 Review of the Olympus E-30 DSLR camera on Digital Photography Review. Hi, that looks like a great upgrade! I just upgraded my E-510 to the E-620, which is very nice too, and a great deal for the price. Congratulations on getting the E-620. It’s a great camera too!